Today kicks off Christian Kachel's Blog Tour for By the Sword, the first Volume in the Spoils of Olympus series, and I have a chance for one of you to win a copy! As a boy, Andrikos watched as Alexander's army marched through his homeland of Greek Ionia after defeating the Persians at the Granicus River on their way to the total conquest of the Persian Empire. Soon he will be embroiled in their world, forced to flee his old life due to an unintentional crime. Thrust into the army, Andrikos struggles to cope with the brutal yet necessary training which his superiors put him through to prepare for the coming wars of succession as Alexander's surviving generals seek to divide and conquer the spoils of Olympus. But Andrikos is not destined to be a nameless soldier; by chance he is chosen for a clandestine mission - and is immersed in a world of intrigue, violence and brotherhood. The path that lies ahead of Andrikos requires him to shed his immaturity and take on the responsibilities and emotions of a man beyond his years as he struggles to save Alexander's legacy from those who wish to usurp it. I am a Long Island, NY native and current resident of Northern Virginia. 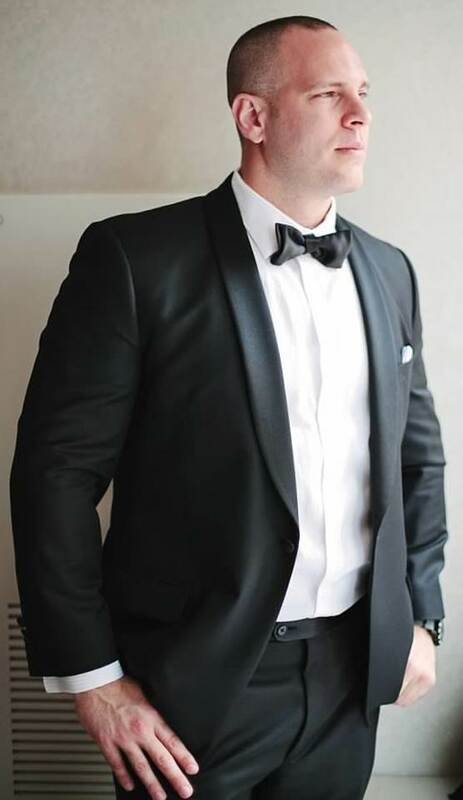 While attending the University of Maryland- College Park, the events of September 11, 2001 inspired me to join the U.S. Army ROTC program and volunteer for three tours of duty in Iraq and Afghanistan upon my commissioning into the Army Reserves in 2003. I hold three Master's degrees and work in the defense industry. The Spoils of Olympus has been a 2 1/2 year project that began in a Marriott hotel room in San Antonio, Texas while attending pre deployment training for a tour in Afghanistan in late 2011. The wars of succession immediately following the death of Alexander the Great have always fascinated me despite being overshadowed in the history books by the life and times of Alexander himself. Many great novels have been written about ancient Greece and Alexander but few fictional works have explored this forgotten era in western civilization where Alexander's generals, who were once allies, battled each other for control of the largest empire on earth. 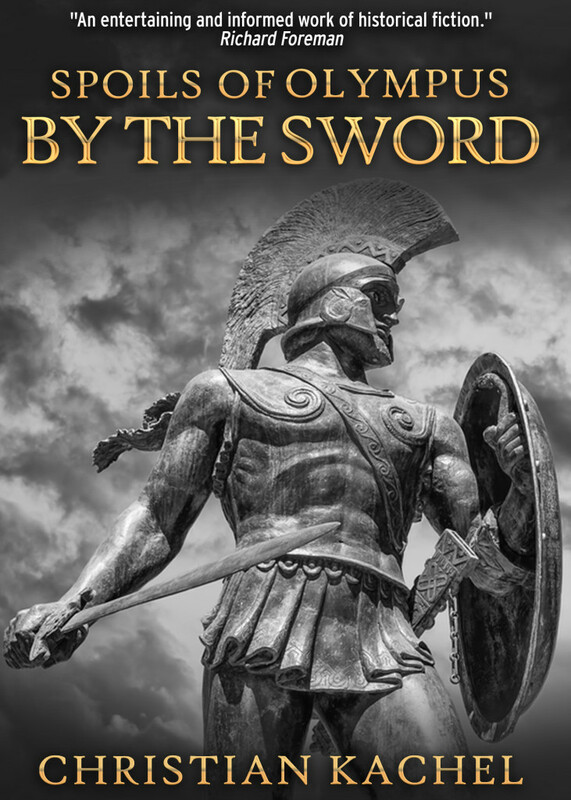 By the Sword is the first novel in The Spoils of Olympus series and introduces us to the story's protagonist, Andrikos. The book follows him from an adolescence of criminality and capriciousness to his forced enlistment in the wars of succession; taking him from the battlefields of Asia Minor to the Achaemenid palaces of the Persian Empire. It is my hope readers will enjoy the story while learning about this important time in history. For more information please visit Christian Kachel's website. You can also find him on Facebook. To enter to win a paperback copy of Spoils of Olympus: By the Sword please leave a comment below with your email address. – Giveaway ends at 11:59pm EST on March 12th. You must be 18 or older to enter. I've read a couple of HF novels about Alexander, but nothing about the times following his death. This novel sounds interesting. Thanks for the giveaway. This book sounds very interesting. I have read several historical fictions on Alexander the Great but none on what happens after his death (though I did read the Wiki article, so know the bare bones of it). I think this would be a great read to explore that time period.